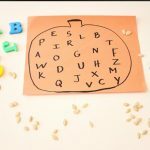 Easy DIY Pumpkin Alphabet Activity for pre-K and Kindergarten! We are finally embracing pumpkin activities! 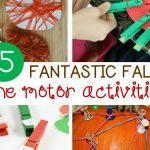 I try not to rush it, but it is definitely my favorite time for crafts and activities with the kids. 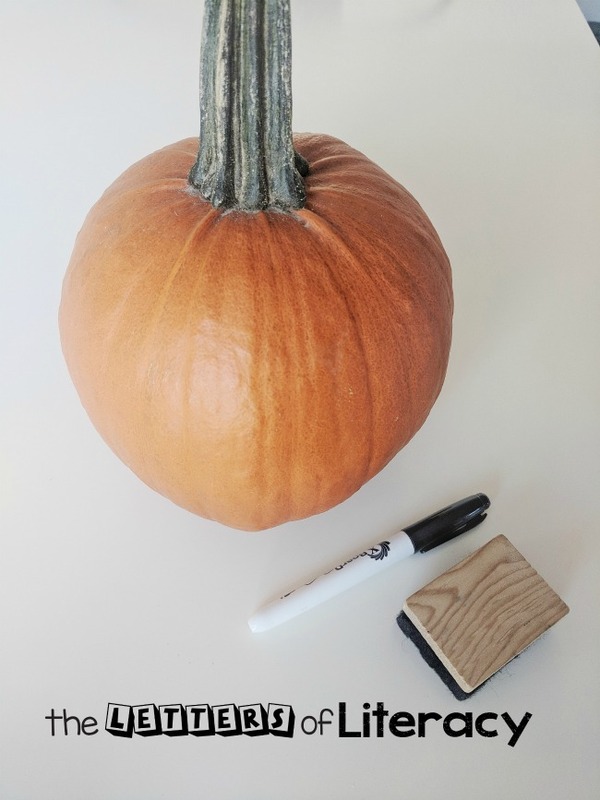 The best part about this pumpkin activity is that the possibilities are endless! 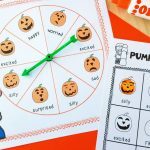 My daughter is working on letter and sound recognition, so this dry-erase Pumpkin Alphabet Activity was perfect! 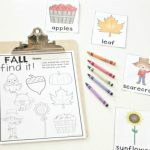 *Pair this with our Pumpkin Centers and Activities for pre-K and Kindergarten! 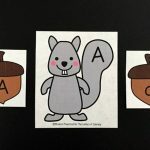 With some frugal supplies or items you have on hand, you can have this easy literacy activity ready in an instant! Just grab a pumpkin and let’s get started! We picked up a few medium-sized pumpkins at the grocery store this week! The only other supplies needed are dry-erase marker(s) and an eraser or wipes. 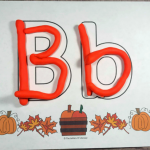 Tip: A larger pumpkin would be better for sight words or spelling words but the smaller pumpkin was perfect for letters! 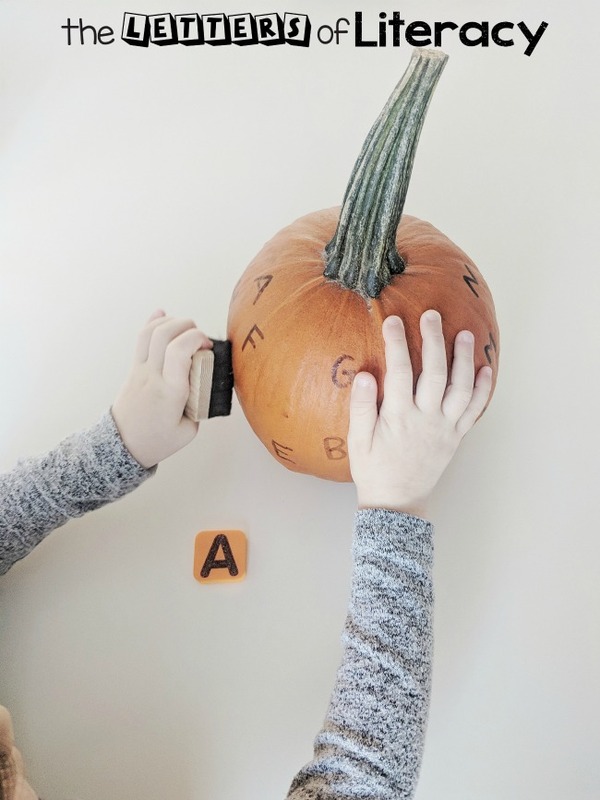 I wanted my daughter to identify the letter A and it’s sound, so I wrote a variety of capitol letters all over the pumpkin with a dry-erase marker. She was able to search and erase each of the letter A’s and tell me what sound it made. Once she had erased all the A’s I decided to add a few lowercase letters and have her erase the lowercase a’s as well. I gave her a visual of a capitol and lowercase letter “A” to help her at first. It was the perfect hands-on way practice letter and sound identification! Last year, we did a similar activity with shapes. I traced foam shapes with a dry-erase marker and had my daughter match the shapes to their outline like a little puzzle. 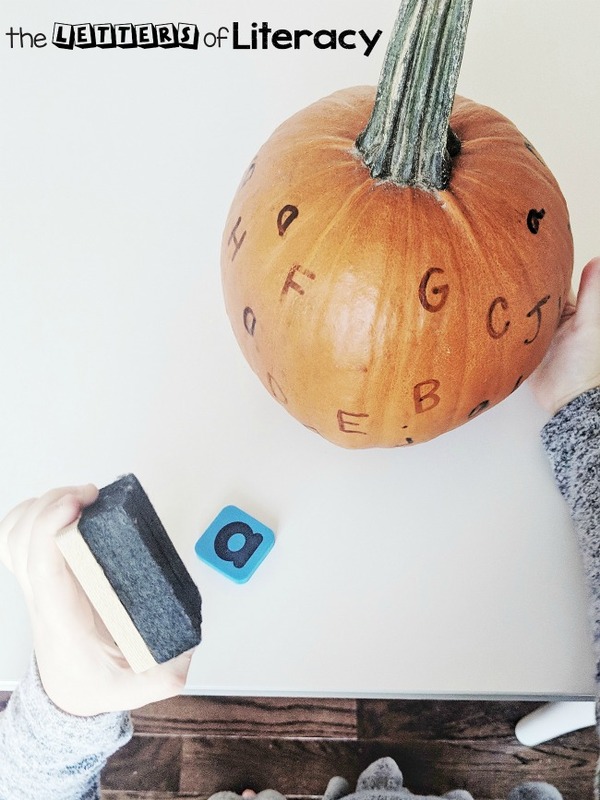 You can also write sight words on the pumpkin and have your child or student find each one as you name them. 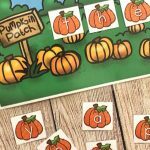 For spelling words, you can write each word on the pumpkin multiple times with a different letter missing on each one. 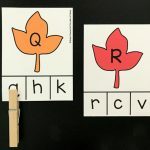 Your child or student can use the dry-erase marker to fill-in-the-blanks to practice spelling. Simple math equations can be written on the pumpkin with the sum missing for each on. 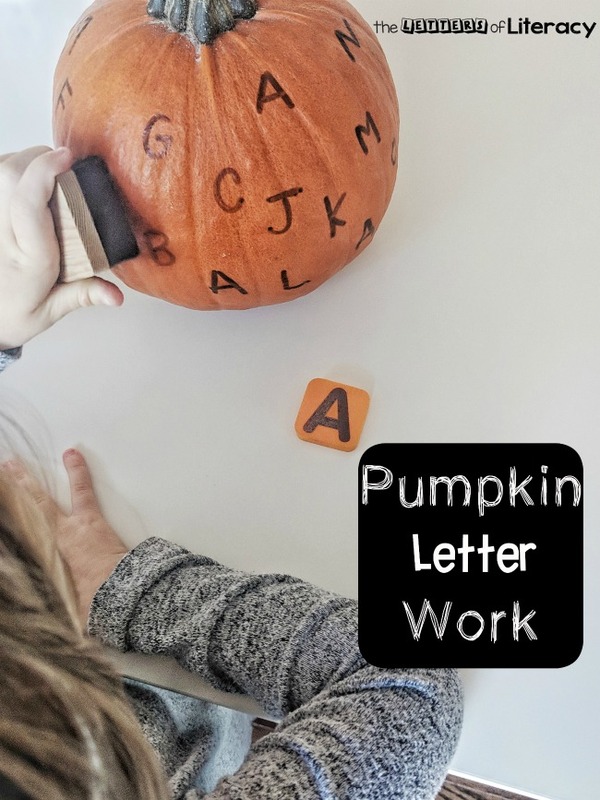 For a younger child, you can write a few different names on the pumpkin and have them circle their own name every time they see it! We can’t wait to try a few more of these ideas during pumpkin season! We hope you have a blast building those skills while being festive! 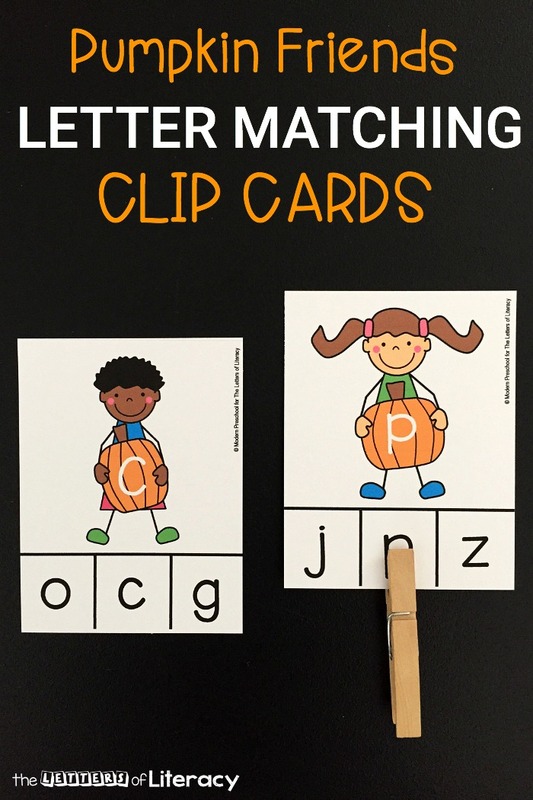 You might also like our Pumpkin Friends Letter Matching Cards!